Degree Within Reach is the State of Colorado’s way of describing “reverse transfer,” a new grant-funded process allowing students who have transferred from a Colorado community college to a Colorado university to combine credits from both programs and apply them towards an associate’s degree. If you are a current or former transfer student, this means you can complete the associate’s degree you started at your community college while still working toward your bachelor’s degree. You could be eligible even if you left a four-year institution before earning any degree. Thanks to a grant from the Lumina Foundation, the Colorado Department of Higher Education, publisher of this website, is working with the Community College System of Colorado and several four-year universities to target both transfer students and those who left school before earning a degree. 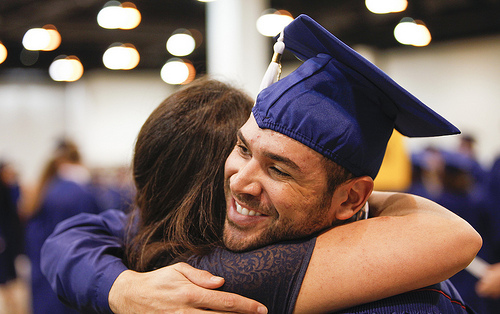 Through this program, students who have enough – or close to enough – credit to earn an associate’s degree will be contacted by the community college system, which will either grant you a degree or let you know how many more credits you need. This program is a win-win for students. There is no negative impact on your current academic standing, financial aid or anything else. It’s simply a way for you to get the credential you deserve. The research is clear: a degree boosts earning potential and career opportunities. This state-run program is bolstered by the 2012 passage in the state legislature of Senate Bill 12-45, which created a statewide reverse transfer program. The state’s primary goal is to boost the number of college graduates in Colorado to meet future workforce needs.